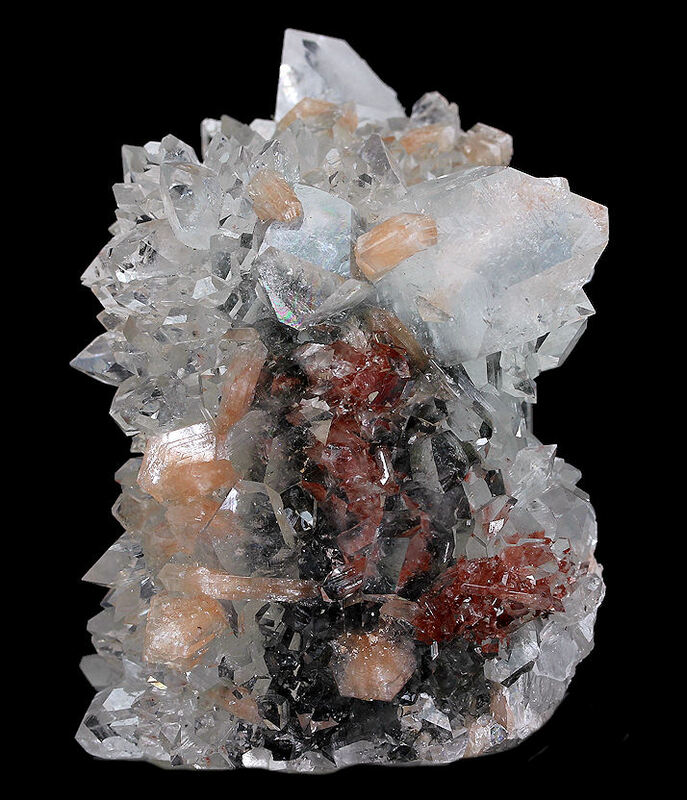 Check out the Fluorite Crystals with Barite & Quartz, Azurite on Clay, Apophyllite Crystal Cluster with Stilbite, Wulfenite Crystals on Matrix, Apophyllite on Calcite, Atacamite Crystals on Matrix, Blue Barite Crystal Cluster, Fluorite Crystals on Quartz, Hematite, Elbaite Crystal with Lepidolite, Creedite, Calcite Crystal on Chalcedony, Vanadinite Crystals on Mottramite, Calcite Rosette with Pyrite, Chalcopyrite on Calcite, Selenite Crystals, Tangerine Quartz Crystal Cluster, Ferberite & Chalcopyrite on Quartz and Witherite Crystal Cluster mineral specimens on this page. 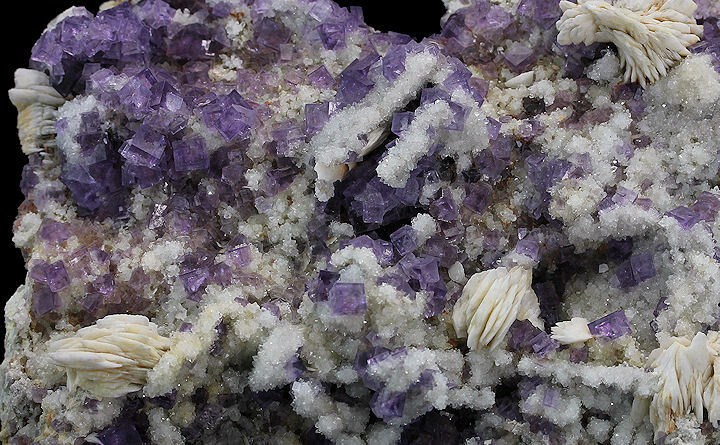 Super aesthetic Berbes specimen with rich coverage of gemmy, light purple Fluorite crystals amongst accenting white Barite blade clusters and fine Quartz. In fine condition. Even better in person !! 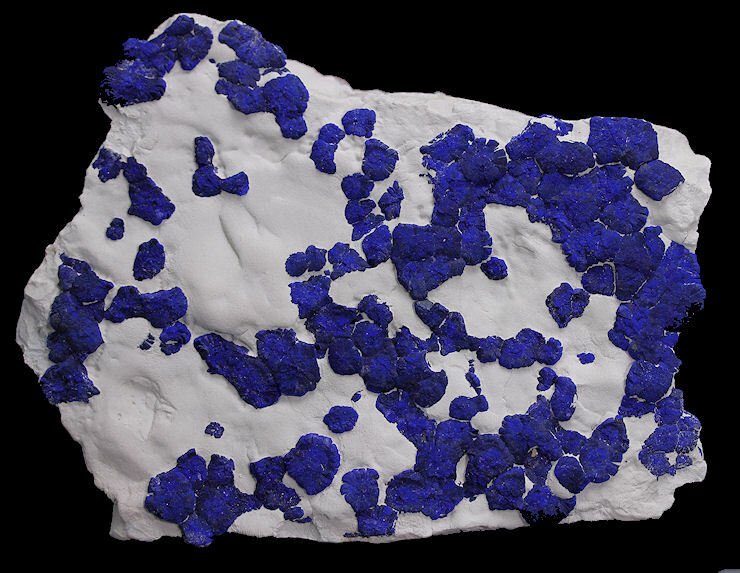 Large specimen of these unique Azurite crystal formations on Clay that came out of Australia a few years ago. 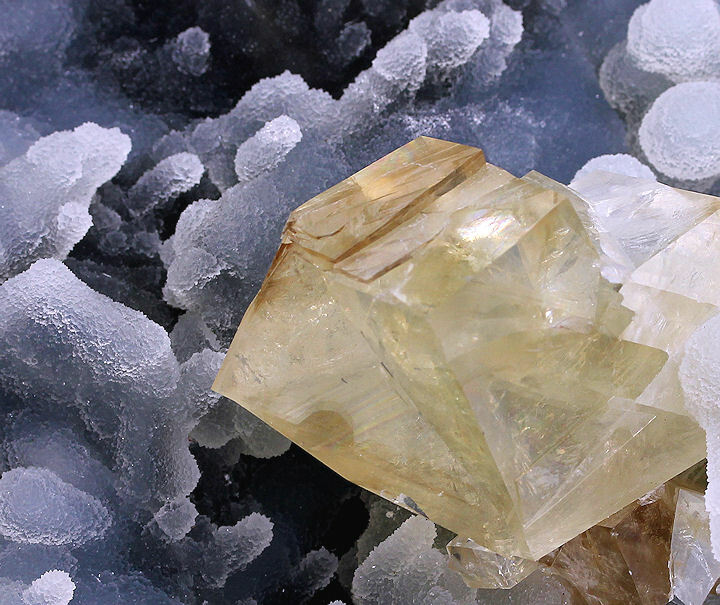 Colorful combination of Apophyllite crystals with light orange Stilbite that is presentable on both sides. 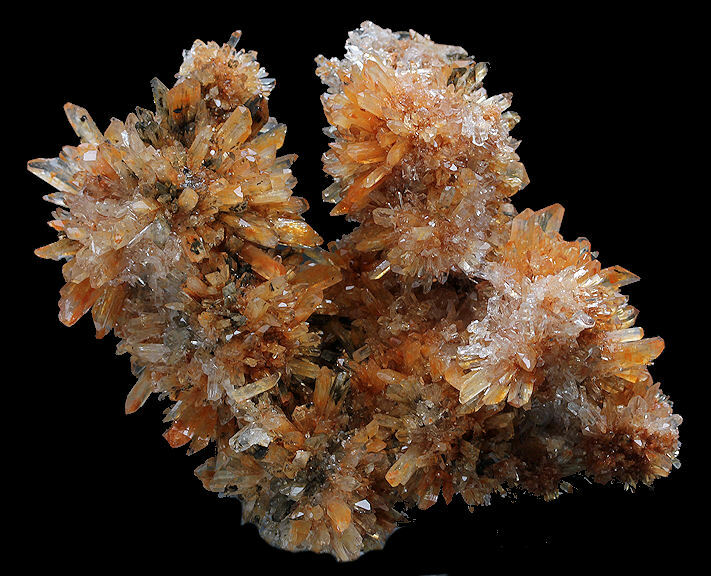 Some of the Apophyllites have a reddish tint due to unknown mineral inclusions. 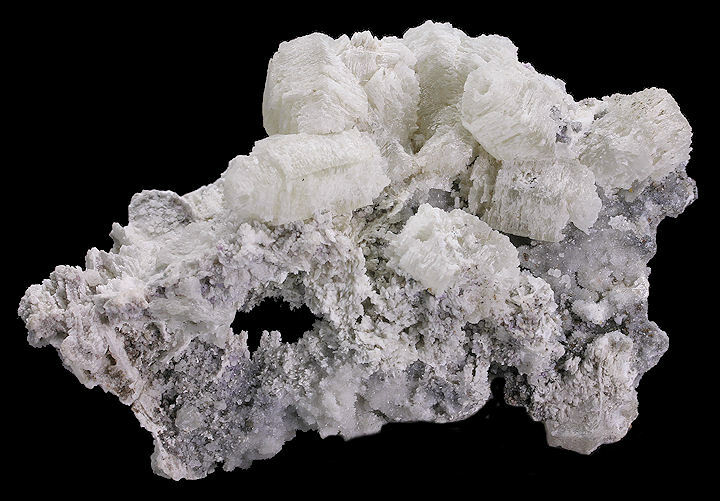 The specimen is actually a stalagmite formation. 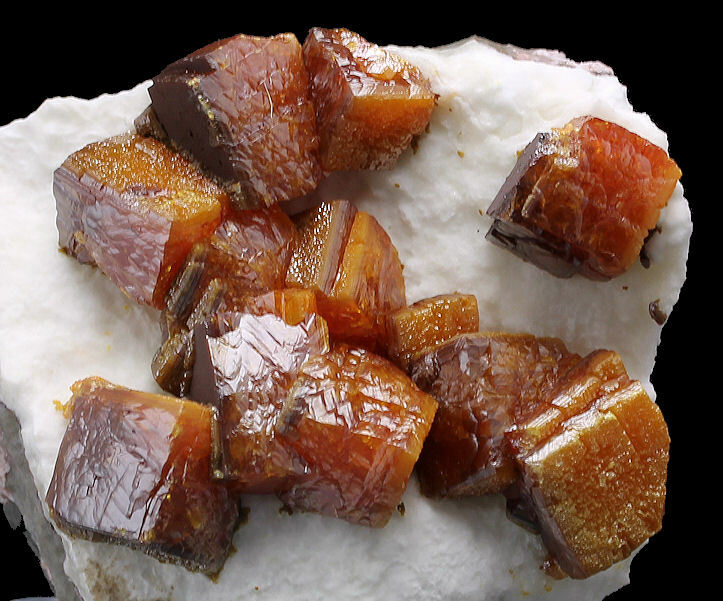 Highly lustrous, blocky, butterscotch colored Wulfenite crystals (to 1x1 cm) on contrasting Calcite from the famous Erupcion Mine in Los Lamentos. These are hard to come by at a reasonable price and is the last of three pieces recently acquired. 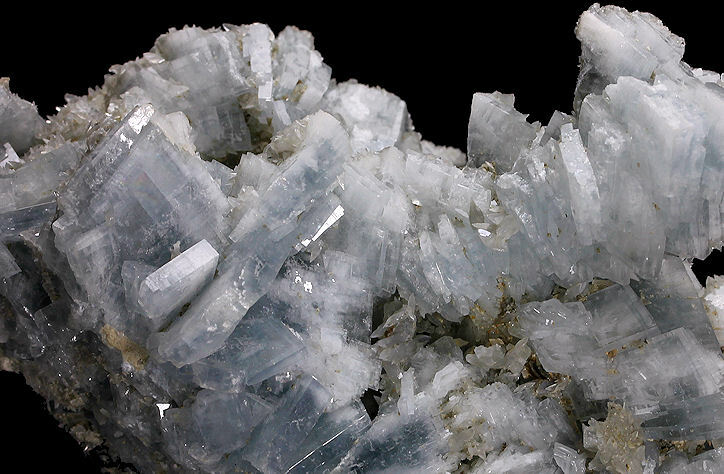 Pretty cluster of translucent Calcite crystals with a frosting of clear, sparkling Apophyllite crystals. Hard to photograph and is better in person. 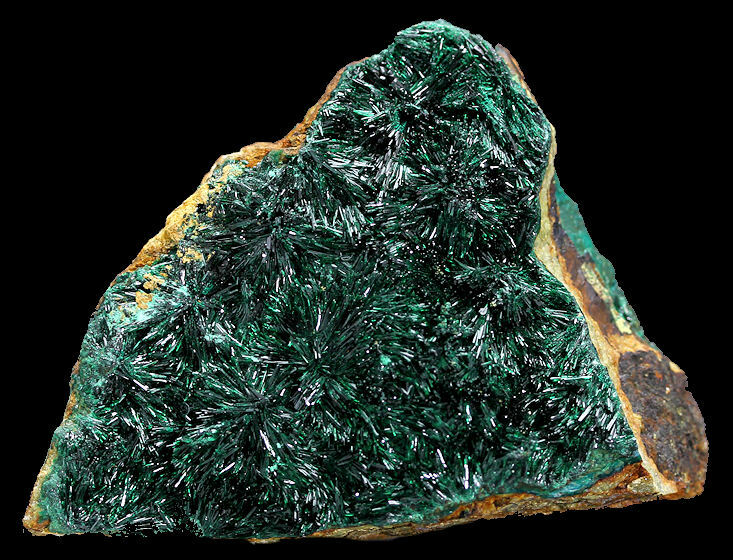 Clusters of intergrown "stars" of lustrous, gemmy, emerald-green acicular Atacamite crystals on matrix. This an especially fine specimen. 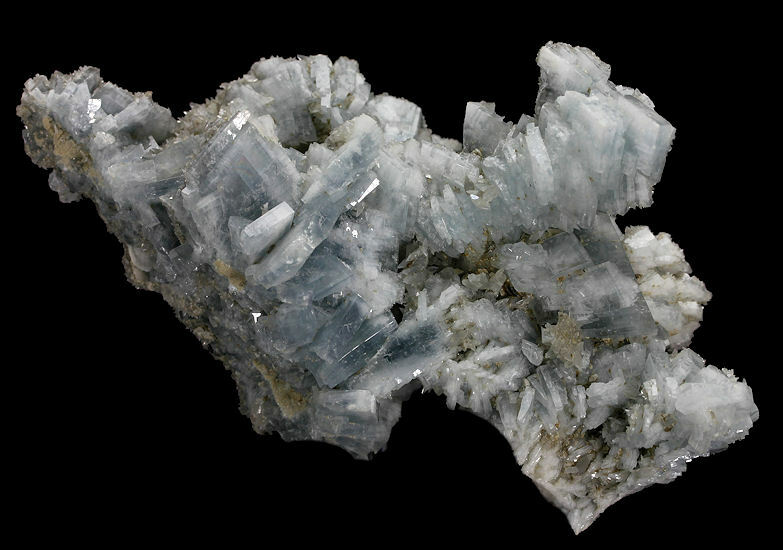 Attractive cluster of gemmy to translucent, tabular crystals of light blue Barite from the famous Moscona Mine. 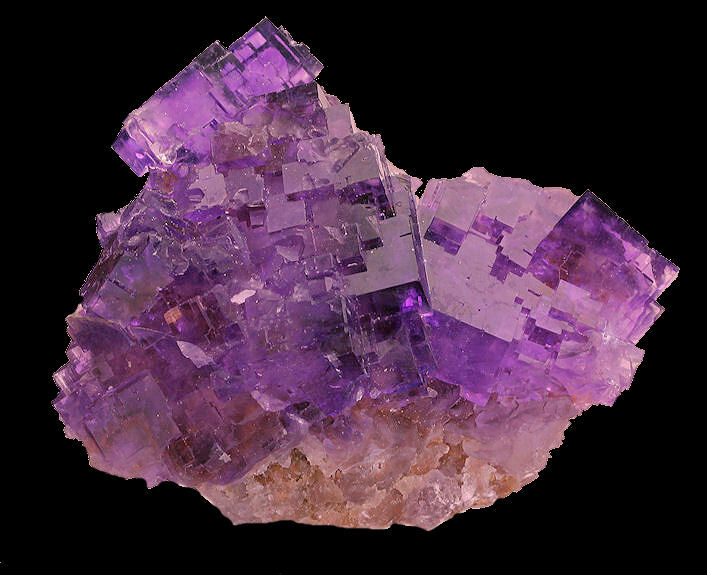 Very gemmy, purple crystals of Fluorite with Quartz from the Jaimina Mine. Very pretty. 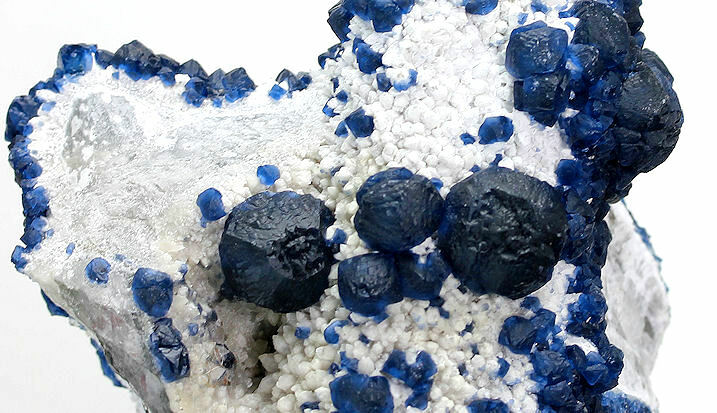 Vivid deep blue Fluorite crystals, with shades that vary from indigo blue and navy blue on a white crystallized Quartz. 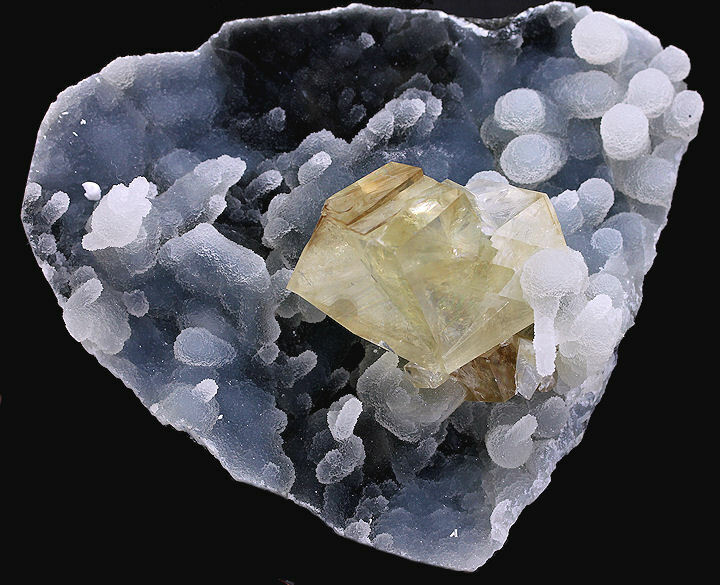 The smaller Fluorite crystals are neatly cubic, with small dodecahedron bevels and well defined curvatures on faces and edges, while the largest crystals are unusually strongly rounded - a very uncommon shape for Fluorite. 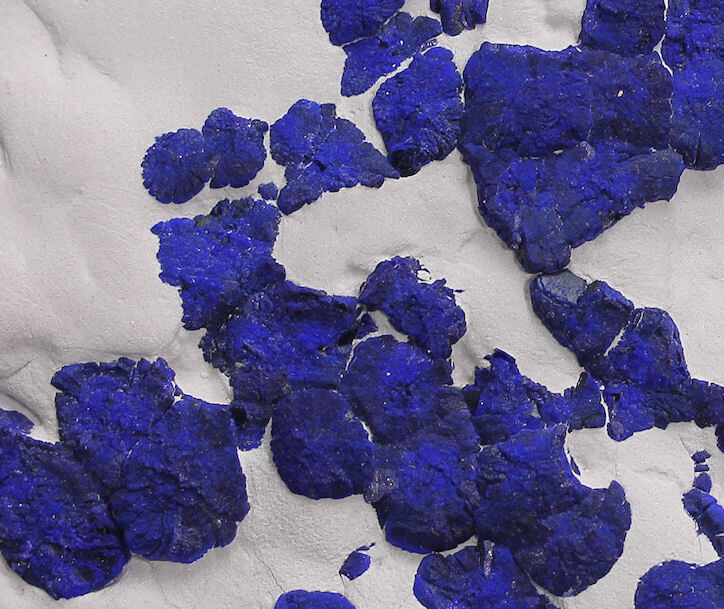 Completely different from previous finds in Huanggang. 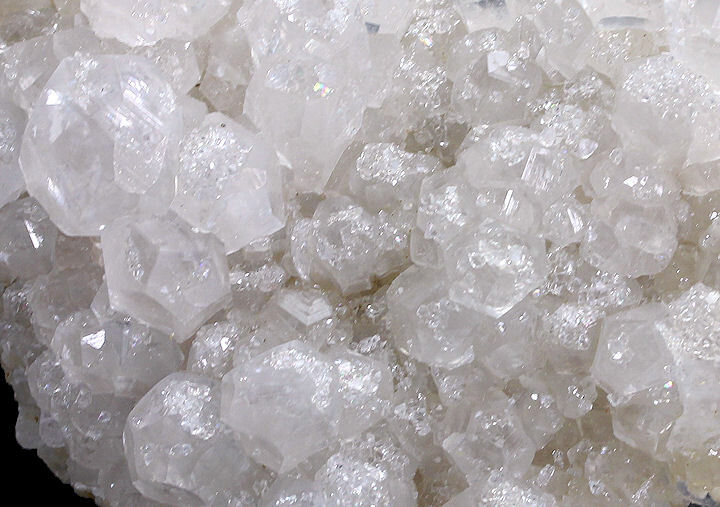 The primary Quartz crystals are interesting, as well, with the center being colorless, clear & transparent, but with a coating of secondary, milky white Quartz. 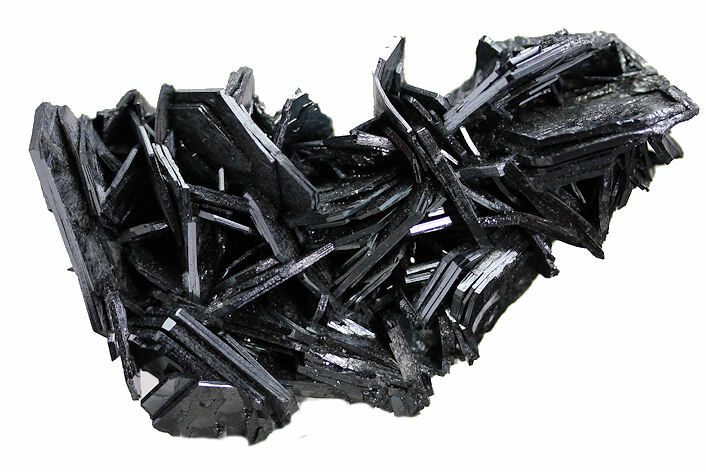 These specimens have been very pricy on the matrket since they came out, but this specimen is more reasonably priced. 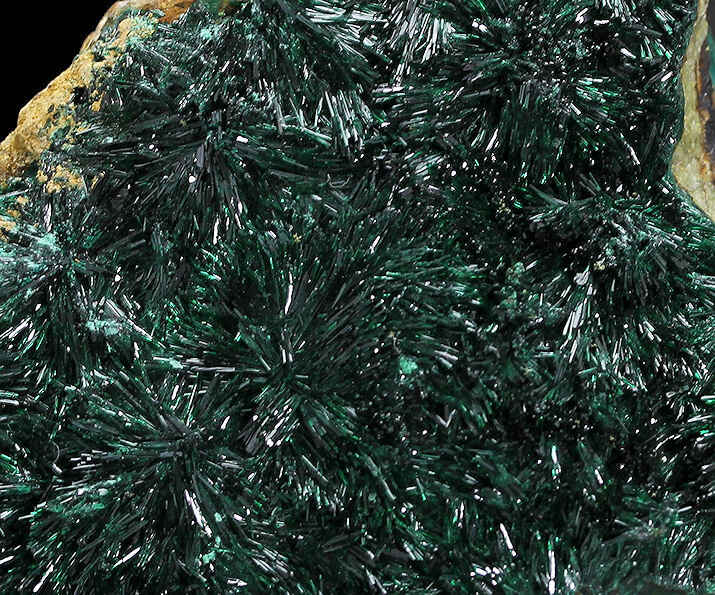 Nice cluster of platy Hematite crystals. 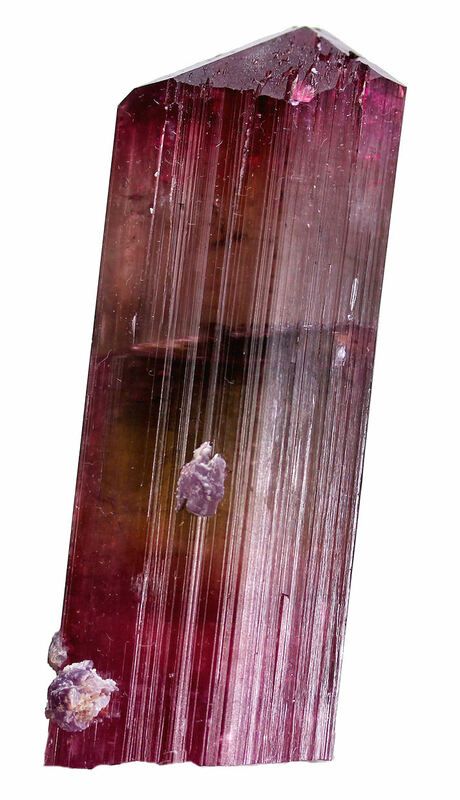 Very nice colorful Elbaite crystal with sopme adorning Lepidolite crystals from the renowned Himalaya Mine. 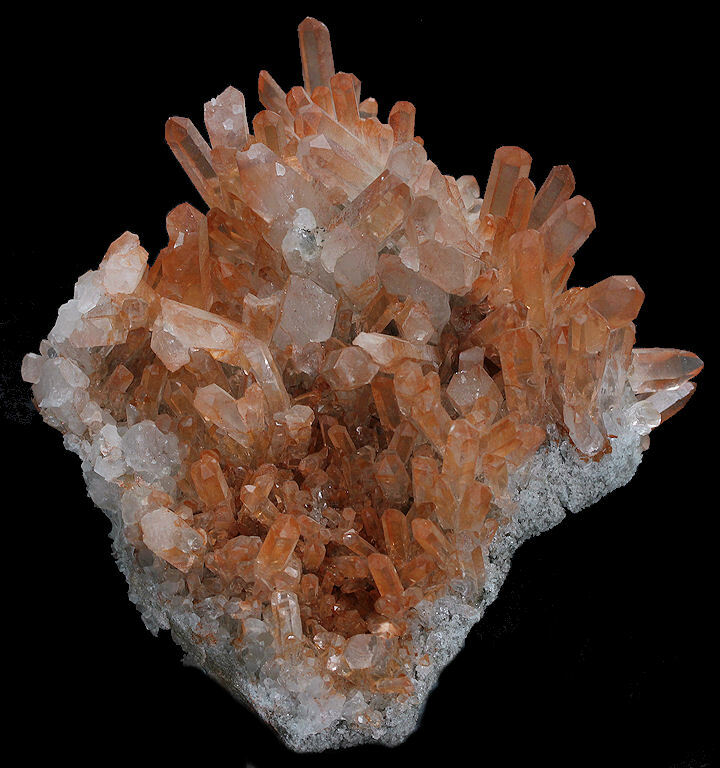 Sculptural cluster of orange Creedite crystal balls. 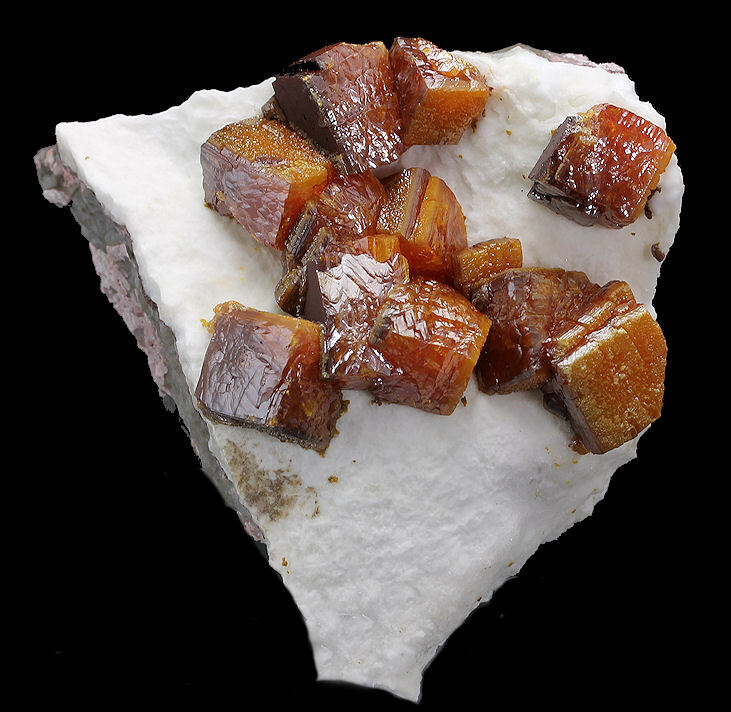 Superb twinned, complex, very gemmy, pristine Calcite crystal measuring 6 x 4.5 x 4 cm, perched in the center of a stalagmatic Chalcedony formation on matrix. Excellent !! 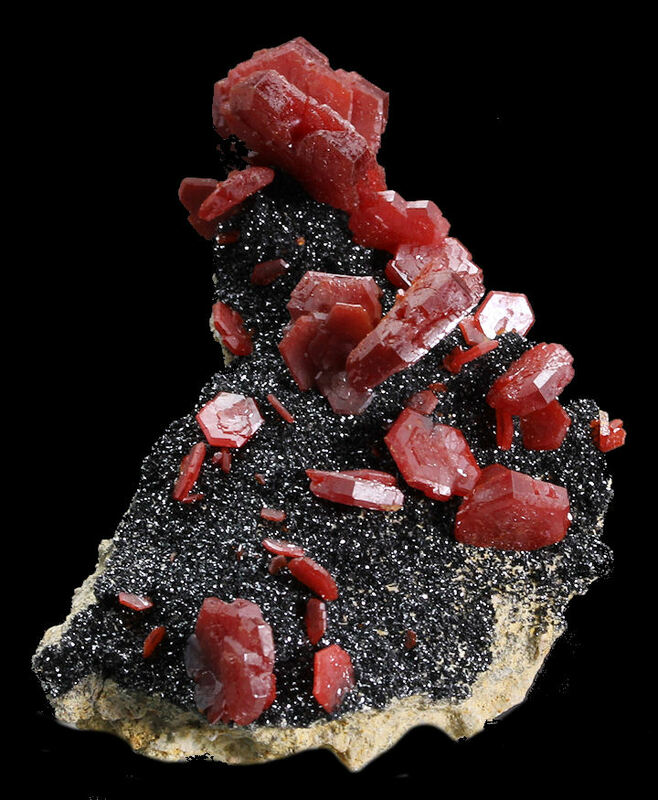 Blood red, hexagonal Vanadinite crystals with modified edges on contrasting black Mottramite. 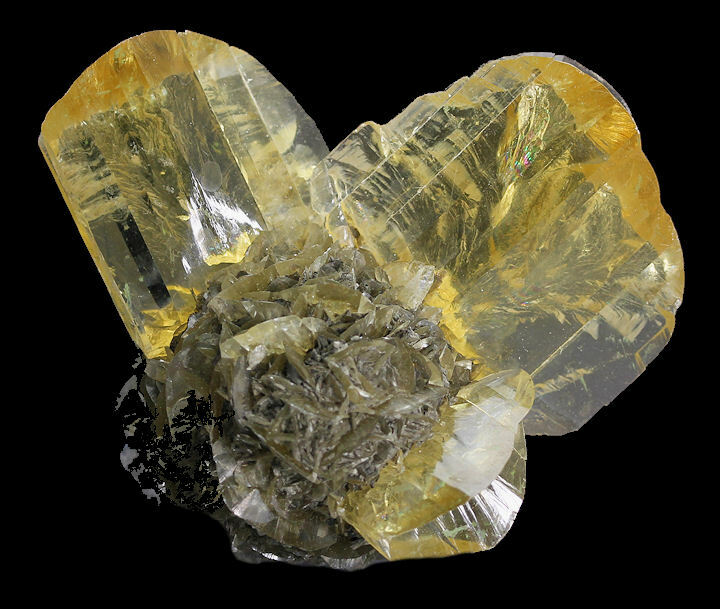 Intricate "Rosette'"type Calcite crystal formation with Pyrite from the long closed Turt Mine in Romania. 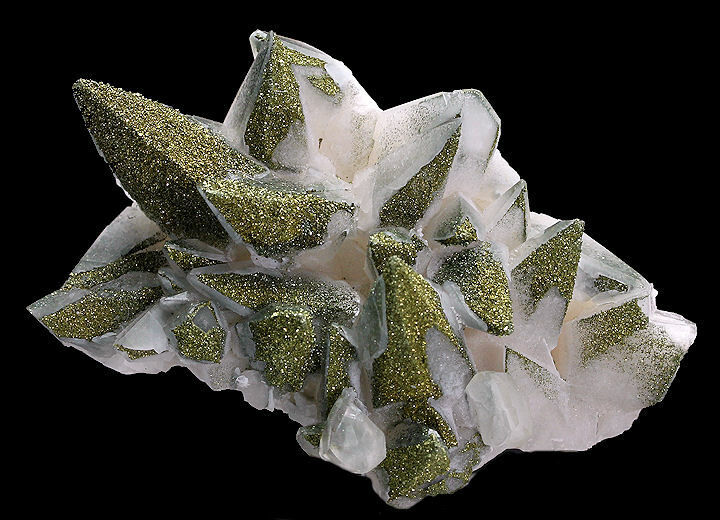 Calcite crystal cluster partially coated with microcrystalline golden Chalcopyrite. 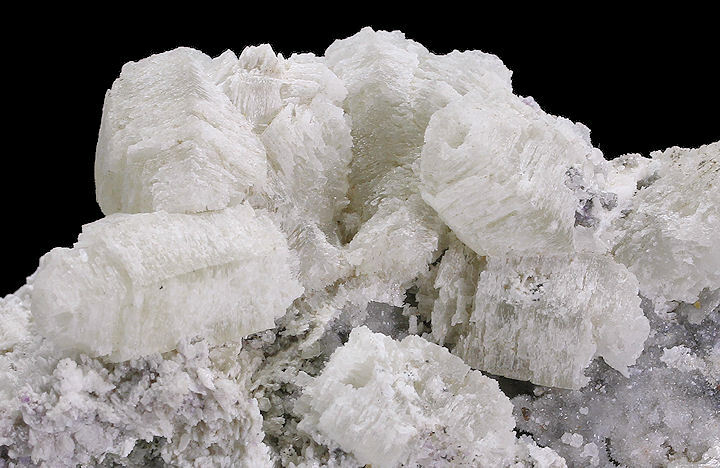 Neat cluster of gemmy Selenite crystals. 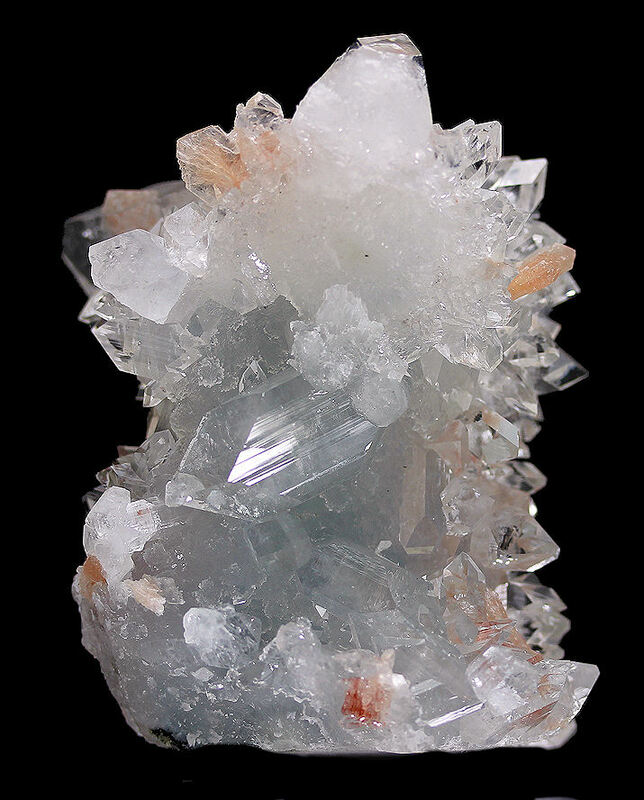 Large cluster of hematinic Quartz crystals. 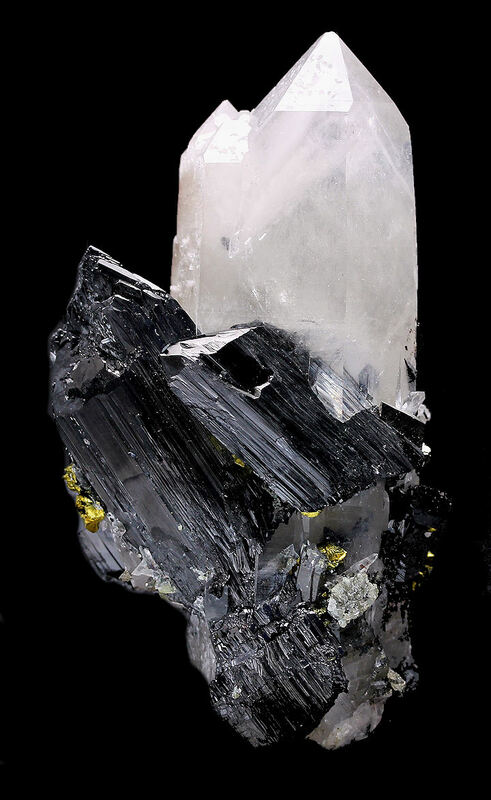 Lustrous Ferbeite crystals with minor Chalcopyrite on Quartz. 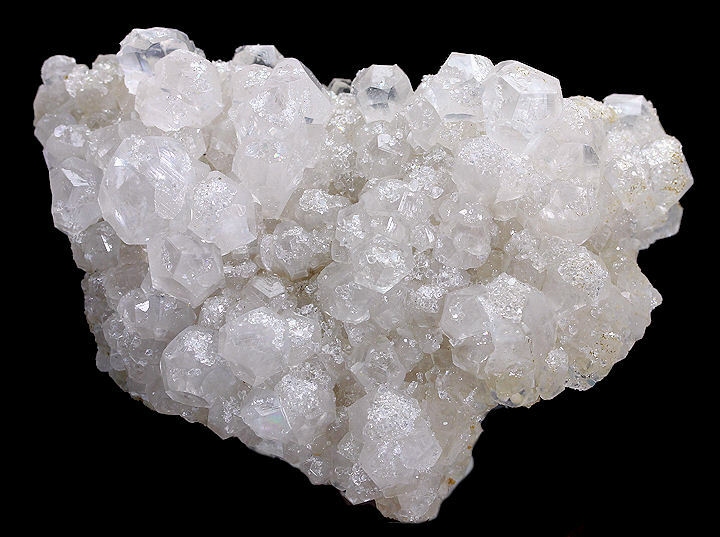 White Witherite crystals - i,e, each a pseudo-hexagonal trilling twin, which forms a six-sided prism, usually with a slanted, tapering pyramid From the famous Minerva Mine in Illinois. 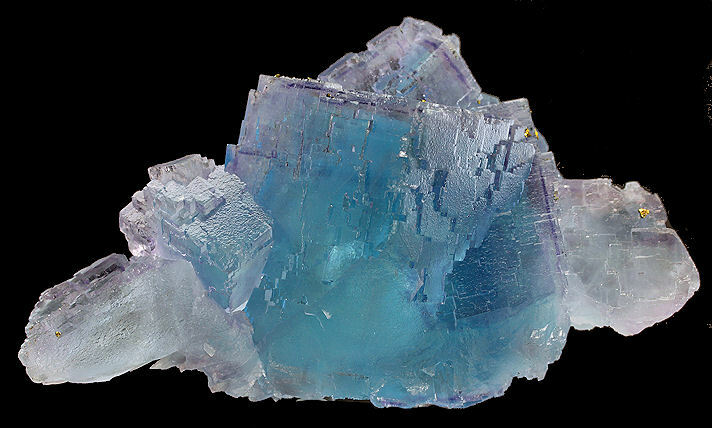 Gorgeous light ocean-blue colored Fluorite crystal cluster with outer purple zoning and minor golden Pyrite from the La Viesca Mine. 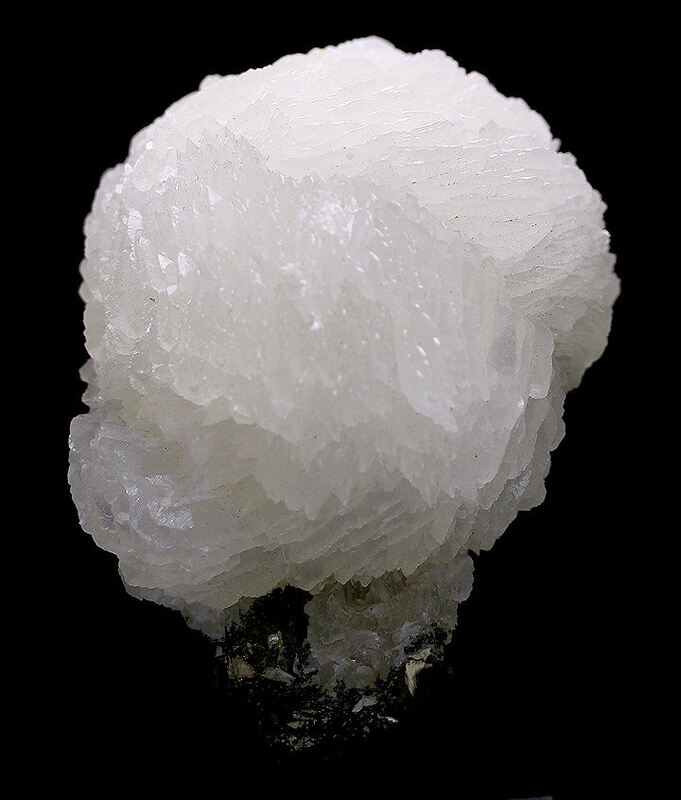 Highly translucent with great luster. Super condition and looks even better in person. 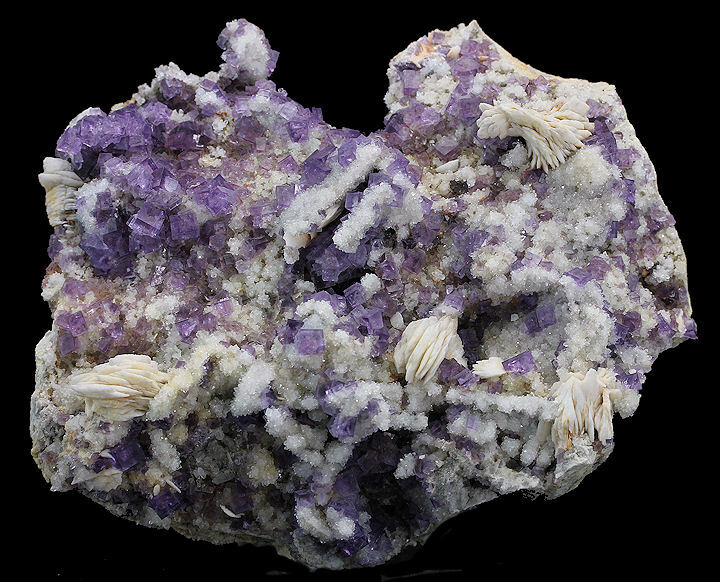 Beautiful lavender Fluorite crystal cluster from a limited find in the Llamas Mine.